When contemplating how to grasp slippery kinds of knowing and the poet’s work in holding some of that memory, the allure of Russian literature is especially enticing. Not only is Russia at the top of our political headlines in the US today, but the notion of poetry’s importance is central to Russian cultural identity in a way that fascinates: both foreign and illuminating. Russian literature is known to take itself very seriously. An avid reader must be intrigued by the poet who famously claimed, “Poetry is respected only in this country — people are killed for it. There is no place where more people are killed for it.” This was Osip Mandelstam. Poetry has been the stuff of life and death. It may yet be. Mandelstam’s assertion of poetry’s importance brought me to study Russian literature decades ago. The urgency of understanding the life-and-death significance of the poet’s work confronts any translator tasked with bringing Mandelstam’s work to a new readership. His work spanned the pre-Bolshevik years through his obscure death shortly after being sentenced to a labor camp in 1938. The translator in English today is challenged not only with the difficulty of grasping a word in Russian and getting it to reach a reader through English, but with pushing forward that spirit of urgency itself. The commitment to poetry and its historical reality itself is doubly diluted. Poets were, in fact, killed for their words. Imprisoned. Exiled. Yet, the history ebbs. The echoes grow quieter. The facts dim. Does the American reader of a recent translation of Osip Mandelstam’s Voronezh Notebooks, landing nearly a century after Mandelstam’s tragic exile, have the memory, the history, the imaginative empathy to reach through this distance? Can a translator such as Andrew Davis breach it? The translator provides the reader with a sketch of the poet recognized and celebrated, then silenced and condemned. Davis’s introduction informs the reader of Mandelstam’s early success in the 1910s as a leading poet, silenced in the 1920s, and later denounced, arrested, and exiled in the 1930s as his poetry voiced criticism of Stalin and the Soviet regime. The Voronezh Notebooks were written in poverty and exile, preserved by Nadezhda Mandelstam and published only posthumously. Mandelstam died less than two years after their composition. The reader relies on these clues to reach through some of that distance. Yet these details may be but loose threads as we turn to the complexity of the poetic works. And if a suture is needed, is the translator there to provide it? The reading of this edition of the Voronezh Notebooks at the very least exposes the urgency of the need to grasp toward that context. Cultural historian Maria Tumarkin has argued that even in Russia itself “[if] there are some relatively stable tropes of memory-work, some patterns and idioms of collective working-through of the past we have come to expect, Russia defies them all.” She points to the lack of monuments reckoning with the violent past of the Soviet Union, the lack of a Truth Commission, the lack of a large-scale memorialization of Stalinist totalitarian history, as well as a campaign on the part of the current government to reinscribe greatness to the Soviet past, blurring over the violent purges and forced collectivizations. Journalists are quick to observe Putin’s often vague assessments of Stalin. The New Yorker recently reported that in a speech on the occasion of Putin’s sixtieth birthday in 2012, a host on television claimed in a spirit of praise, “In terms of the scope of his activities, Putin can be compared to only one of his predecessors in the twentieth century — Stalin.” Even in Russia itself the memory of the 1930s is apparently sometimes disentangled from the tragedies of the time: when Osip Mandelstam wrote the Voronezh Notebooks in exile, people were taken away by surprise in black vans, interrogated on unknown grounds, shot in basements, or exiled to die in undisclosed locations, uncounted if not forgotten. The translator of works that are alive with and haunted by these facts is in a special bind when those details themselves are in part necessary to the reading. The translated word is insufficient; it needs to reach beyond language to history and memory — not only to retrieve and vivify these, but even, increasingly, to find them and gird against their loss. We must begin reading Mandelstam’s notebook poems with dread, with foreboding. Only death, and this little stool, for company. The first poem ends here, and is dated April 1935. In 1934, Mandelstam had already been taken by the secret police, interrogated, and was now sentenced to exile. The translator’s challenge in delivering these poems, written between 1935 and 1937, is the challenge not only of language, but also of history: the tragic life of one of Russia’s great poets, and the art that emerged under totalitarianism. Andrew Davis’s translation of Osip Mandelstam’s Voronezh Notebooks is admirable. He slowly introduces the reader to the Russian steppe, across a distance that at first feels, necessarily, quite far. The reach extends beyond more than landscape and language’s unbreachable distances, but time, memory, and the knowing of history, its obstacles more and less forbidding. The reader must be transported, and Mandelstam already is removed from his readers. I live in big-time gardens! In just a few lines, we have been exposed to a great deal, or we might pick up on subtle, evocations of Soviet life, Russian culture, and exile’s grim shadow if we understand the necessary context of the poem. Can the translator darken that death any more? 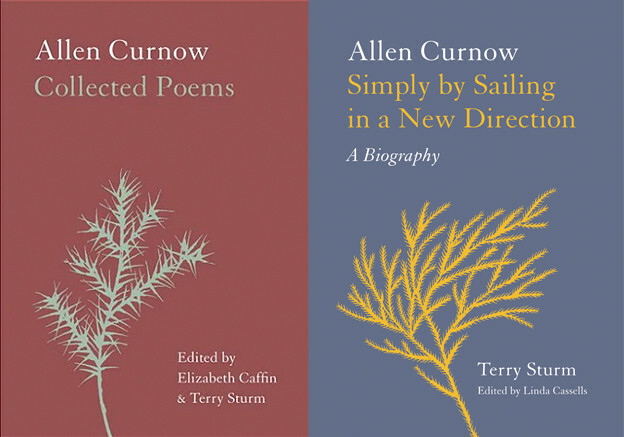 Can that past be pressed more heavily on the poem’s words? What happens to the Voronezh Notebooks when the history of fear is distant? When the echoes of violence are drowned by a muted historical consciousness? Marked by repeated ellipses, the Voronezh Notebooks must necessarily be understood as a document of exile. Even when the poems of the Notebooks distinguish themselves in their intimacy, the reader must be tuned in to a writer addressing the reader also as a last audience, a final despairing voice to the listener far off, a reader in the aftermath. This is not the Osip Mandelstam of Stone (Камень). Readers new to Mandelstam’s work will depend on the context of history to appreciate the Voronezh Notebooks. 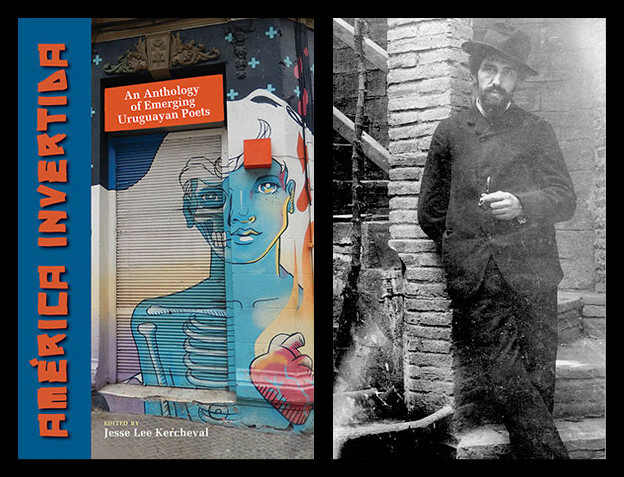 The poems rely on memory, on history, on the tense juxtaposition between the deaths imagined in the past and the imminent death of the exiled poet. What bird we hear in Mandelstam’s song might be painted in part by Andrew Davis, the translator. In one of the tenderest moments in the translation, he nearly captures Mandelstam’s musicality. Consonants and vowels echo in Russian across repetition and variation, in surprising linguistic roots and flexible prefixes and suffixes, echoing with far more insistence than is available in English. Mandelstam’s is a musicality that rings, in the Russian, with the tone of a well-rung bell: fine, elegant, spare, haunting. It is challenging to capture this in English, but the elliptical longing comes through. To envy the seditious imperious wasp. We can applaud Davis’s effort to give the reader Mandelstam’s words in their complexity and simplicity, as they work in Russian, yet we see how the words end up competing awkwardly in English — “seditiously” conveys its meaning but pulls us out of the song of life and love. The Voronezh Notebooks are messy, urgent, and despairing, but also infused with Mandelstam’s vocabulary of time and place, even as he struggles with timeless questions of mortality, more important as he thinks through exile. It is a mortality laced with political implications, loves lost not to the heart’s frivolity but the dictates of totalitarian rule. The ellipses exclude us from some explicit expression of thought, evoking a withholding, and the ellipses invite us in to the thought: we come into our own, along with the poem, the we opens across the unfinished line. The freeze of the poem is multiple, the memory taunting. The chill of the north, the turning of memory into death. We sense this “blue” is a form of the Russian синий, a darker blue, a deeper blue. The menace of death penetrates the immediate present and the memory of past. The reader, understanding the poet’s fate, might charge this menace with wisdom, too. A few pages later, in poem 20, we are warmed but not recovered. Even the natural world, warm and sincere, suggests hostility. The stone, finally, draws this tenderness. The stone, reminding the reader of that earlier book Камень, is simplicity, earth, and impenetrability. The stone is hard and unforgiving, surely. Yet, to never be “content” is itself a kind of romance, the seduction of desire, even hope, where the lack of contentment promises deeper things: the depth itself alluring, a simple gesture toward something more. Mandelstam was not one to celebrate the status quo. Not in the Soviet sense. Not in any intellectual or poetic sense. How does the writing of a moment reach into another? The translator grapples with more than words, especially as the images grow more distant from the reader. The space between the English reader in New York and the language of faraway Voronezh, even of the famous Kremlin, is great. Great, too, is the distance from comrades, the language of Soviet life turned English. Товарищи! Yet, Mandelstam is only as essential as his words can both make this time vivid for the reader, shrinking the distance, and make its measure irrelevant, rendering its meaning increasingly resonant. We recognize Mandelstam’s own work today as not limited to a study of Russian poetry or the literature of the Soviet Union. Rather, Mandelstam’s is a poetry we can read as immediate, his work can be understood as urgent. The matter of remembering is the matter of understanding reality, as Nadezhda Mandelstam insisted. Yet, this immediacy is possible only through the attention of the reader to the intimacy of the poem along with the understanding of the past, the care of the translator to bridging some of the gaps between the reader here and there, today and a century ago, a necessary understanding of the context to read the poems. Is that locating, fixing the poetry in time and place, or enabling the reader to reach across boundaries, to recognize a simultaneity and dissolve arbitrary divisions? 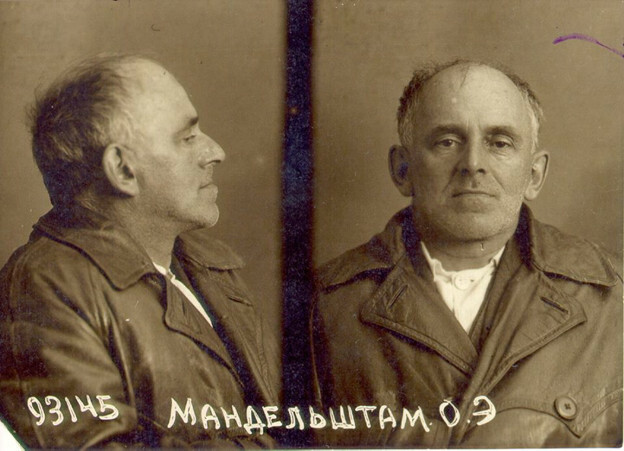 If we don’t understand that Mandelstam wrote in the Notebooks “Gotta keep living, though I’ve died twice” (6) not only as a metaphor but also a gesture to his arrests, his near-death survivals under the Stalinist regime, will we weep? If we don’t recognize the threats to freedom of expression in our own time, will the boundaries blur? This is not the same as false equivalence. Conditions that make a poem, make a life, are never equivalent. “Two thousand years and two thousand miles can sometimes register as near simultaneity; ten years and ten miles can sometimes pose an unpassable gulf,” Wai Chee Dimock has noted. “Thanks to this elasticity, the now experienced by any reader is idiosyncratic, unlike anyone else’s.” Yet the idiosyncrasy does not absolve us of attending to the patterns that draw the pain of Mandelstam into our immediate consciousness. Can we imagine, “Only death, and this little stool, for company”? We must. 1. Nadezhda Mandelstam, Hope Abandoned, trans. Max Hayward (New York: Atheneum, 1974), 160. 2. Nadezhda Mandelstam, Hope Against Hope: A Memoir, trans. Max Hayward (New York: Atheneum, 1970; Modern Library, 1999), 161. 3. Maria M. Tumarkin, “The Long Life of Stalinism: Reflections on the Aftermath of Totalitarianism and Social Memory,” Journal of Social History 44, no. 4 (2011): 1047. 4. Osip Mandelstam, Voronezh Notebooks, trans. Andrew Davis (New York: NYRB Poets, 2016), 3. 5. Wai Chi Dimock, “Literature for the Planet.” PMLA 116, no. 1 (2001): 174.